Despite the discovery of a 49,000-year-old human habitation site in the northern Flinders Ranges, replete with some of the oldest bone tools known on Earth, and the additional recovery of the oldest known bone jewellery worn by modern humans, at a site in the Kimberley region, academics refuse to stop referring to a 50,000-year-old entry in Australia. In my short lifetime, the Original Australians have seen the accepted span of their occupation of Australia lengthen considerably. In the 1970’s it was believed that this population had sailed to Australia from Asia only 20,000 years ago. The subsequent discovery of the Mungo Man fossil remains made a mockery of this claim. Dating gave a minimum age of 40,000 years, with several scientists claiming that 60,000 years’ age was more appropriate. It took a long time for the date to be accepted even at 40,000, the increase was very controversial, indeed anything involving the history of Original Australians soon becomes controversial. As one site after another has produced evidence of a much earlier presence of humans in Australia than generally believed, the entry-date slid further back. The consensus view is currently that a first entry occurred bang on 50,000 years before the present day. Despite numerous older sites (for example Malakunanja II ), and several rogue academics stating that the dating is still way too recent, the 50,000-year date is repeated and again. The same assumed entry date appears in most published papers and, almost without exception, it is the dating referred to by journalists whenever Original Australian history is mentioned. The latest archaeological discoveries proudly announced by researchers working at two Australian archaeological sites are no exception. Wherever we look journals and media organisations are telling us that, despite the immense ages involved, these finds change nothing about the overall migration narrative. At the Carpenter’s Gap archaeological site, in North West Australia, we are seemingly asked to believe that one of the first people off the boat from Asia passed through Kimberly around 50,000 years ago where he/she suddenly got the idea to carve a kangaroo bone and stick it through their nose. This neat new artefact is then promptly dropped, where the one of a kind item was luckily found today. There is no mention of how long we would expect it to take for an incoming group to develop an association with local animals like the kangaroo, develop a culture which values decorative items, might gain the knowledge and skills to work with a material they have apparently ignored prior to this time (bone) and of course come to the decision that incorporating bone jewellery into their appearance has decorative or spiritual value. We are left to accept that this can all happen virtually overnight. 46000+ yr old carved bone nose piercing (Source: New Scientist). Keep in mind that this decvorative artefact is dated as being 46,000 years old at an absolute minimum. The bone piece is very likely to be much older than the current minimum date attributed to it. As there is no evidence of such a bone carving tradition as this at a similair time in South East Asia, we certainly can’t suppose that the creator of this piece arrived with this in mind, it is then left for us to understand it as a new cultural behaviour conjured straight out of the ether. The earliest dated bone jewellery in Africa is accepted to be 15,000 years old (though bone tools have been dated as significantly older). The cognitive dissonance increases dramatically when we consider the discoveries made at the second new archaeological site. This time we move much further to the South, into the Flinders Ranges. 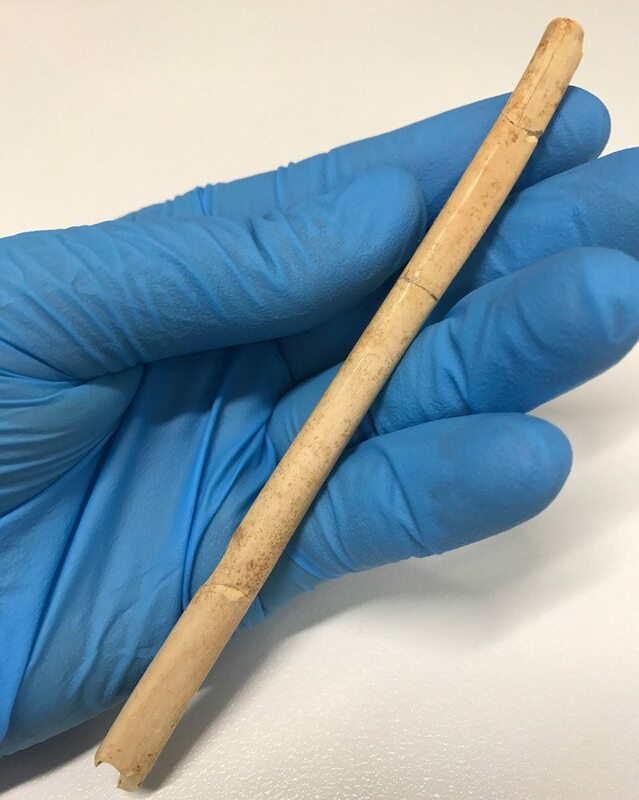 Among the artefacts at this second site are the oldest sharpened bone point in the country, dated at 40,000 years old, until the announcement of the nose piercing from Kimberly this bone point was, very briefly, the oldest carved bone artefact in Australia. The real problem with this site is not so much the incredible artefacts as it is the extraordinary geographical location and the early dating. This rock shelter is situated in the furthest South of the country, in a rather inhospitable area. Despite this, it is stated that humans had begun inhabiting the site by at least 49,000 years ago. The immediate question for the rational thinking person should be, what in the heck are members of a newly arrived human population doing down there? 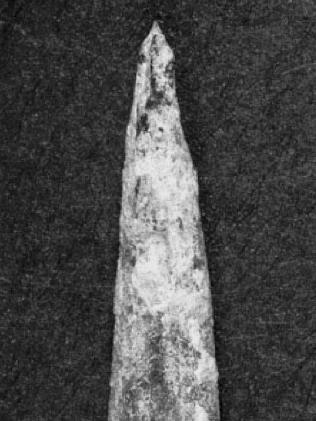 40,000 yr old sharpened bone tool, Flinders Ranges, South Australia (Image source: news.com.au). It is a very long way from sites such as Kimberly and the Northern coast of Australia, down to the Flinders Ranges. The rock shelter is around 2000km from any conceivable entry point into the Australian continent. For this very reason, the vast distance involved, it has always been stated by academics that humans arrived in Southern Australia around 20,000 years ago. These migrants would have initially stuck to the coasts, only gradually migrating South, before at last venturing inwards towards the continents harsher interior. This model was based partly on archaeology but even more so on logic and common sense. It takes a very long time for a small archaic population to need to migrate any long distance or to multiply sufficiently so that large areas of new territory must be explored. The updated model is that 50,000 years ago, the boat pulls ashore on the Northern coast, and suddenly 1000 years later the crew have run as fast as they can down to the harsh interior near to the Southern coast. During the sprint, they have also been perfecting their divinely inspired bone working technologies. When will the academics simply state the obvious that the dating for the occupation of this continent is wildly wrong? When will the press, stop reprinting the same old rubbish they are told by those same dishonest researchers, and instead engage their natural scepticism and critical thinking? Any fool can see that these artefacts tell the story of an incredibly more ancient culture than the popular narrative will allow for, accompanied by desperate silent pleas for us readers to not ruin the good thing these researchers have got going. They have made their careers based on lies and fantasy and if we the public, or god forbid the press, start to question the fairy story, it is their privileged academic jobs on the line. It takes a very long for a new culture to arise and become widespread. If you happen to find one carved bone nose piercing, on the vast continent of Australia, dated to at least 46,000 years old, knowing they would normally decay to dust in that time, logic suggests that it was a commonplace aspect of the culture around that time and you are only finding such an example because it was once very widespread. This popularity must would taken significant time to arise and it would have roots in deep unknown antiquity, going back to well before the purported arrival date. The same type of logic must be applied to the Flinders Ranges rock shelter. We can’t reasonably accept the immediate repeal of the 20,000-year long migration period, and a replacement with a 1000-year long marathon, simply because it no longer suits those trying to prop-up the existing preferred belief system. Academics would now like us to believe that their imaginary first people were a mob of Usain Bolt’s on steroids, jumping straight from the boat, sticking bones through their noses, and madly dashing off into the desert. This type of nonsense passed off as science will only continue if the public refuses to question it. Bruce Fenton is an ancient mysteries and human origins researcher based in Australia. 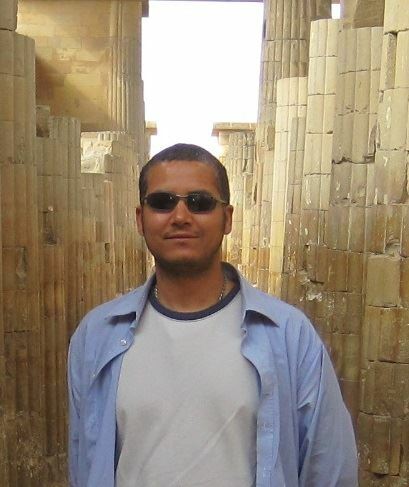 He is author of the book The Forgotten Exodus – The Into Africa Theory of Human Evolution. Notwithstanding that you have got everything about academics right, in this one point the academics have got you tidied up. Our ancestors were extraordinarily athletic, brave and resourceful.To migrate from the Kimberly to the Flinders country, could easily be done in one generation, by coastal travel, and perhaps a couple of hundred years, at most, at leisurely pace, through the centre. Fauna would be completely fearless, and easy to catch. Please subscribe to Bruce’s newsletter list to keep up to date with his research, articles, and projects.